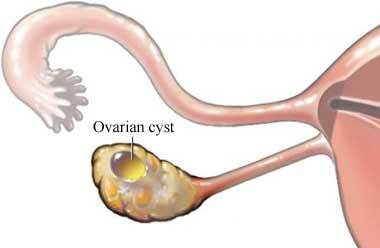 Ovarian cyst removal is surgery to remove a cyst or cysts from 1 or both of your ovaries. 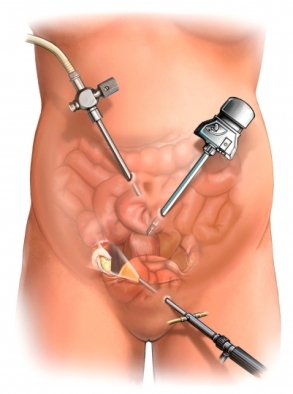 A laparoscopic surgery uses small incisions and specialized tools. It may offer faster recovery times than open surgery , which uses a larger abdominal incision. In some cases, the doctor may switch to an open surgery . During an open surgery, a larger incision will be made in the abdomen to do the surgery. Ovarian cysts. Women's Health—US Department of Health and Human Services website. Available at: http://www.womenshealth.gov/publications/our-publications/fact-sheet/ovarian-cysts.html. Updated April 28, 2017. Accessed December 13, 2017.